July was a good month for Apple power users, with the simultaneous release of Blackmagic Design’s eGPU and a refresh of Apple’s popular MacBook Pro line, including both 13″ and 15″ models. Although these new laptops retain the previous model’s form factor, they gained a bump-up in processors, RAM, and storage capacity. Apple loaned me one of the Touch Bar space gray 15” models for this review. It came maxed out with the 8th generation 2.9 GHz 6-core Intel Core i9 CPU, 32GB DDR4 (faster) RAM, Radeon Pro 560X GPU, and a 2TB SSD. The price range on the 15″ model is pretty wide, due in part to the available SSD choices – from 256GB up to 4TB. Touch Bar 15” configurations start at $2,399 and can go all the way up to $6,699, once you spec the top upgrade for everything. My configuration was only $4,699 with the 2TB SSD. Of course, that’s before you add Apple Care (which I highly recommend for laptops) and any accessories. 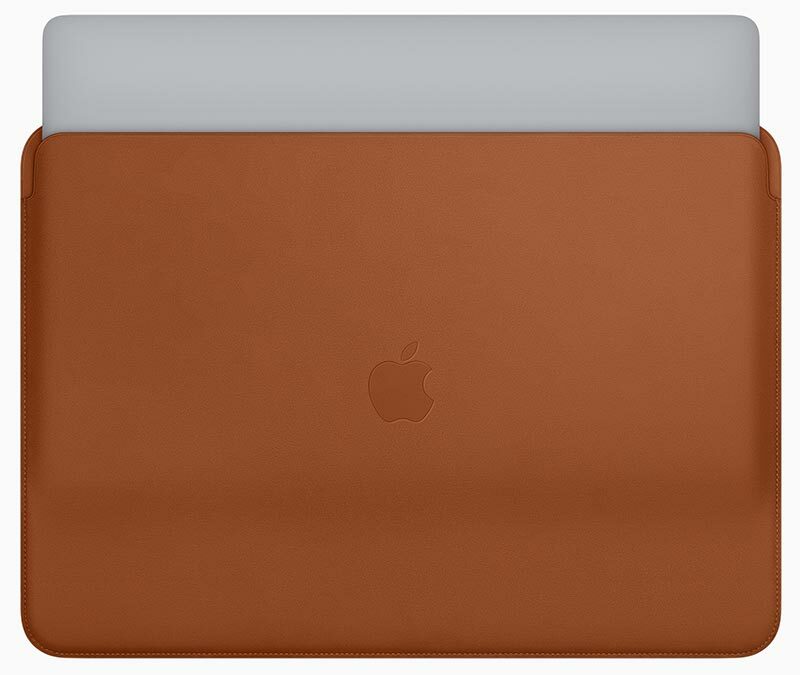 Apple also released premium leather sleeves for both the 13″ and 15″ models in three colors ($199 for the 15″ size). They are pricey, of course, but not out of line with other branded, luxury products, like bags and watch bands. They fit the unit snuggly and protect it when you are out and about. In addition, they serve as a good pad on rough desk surfaces or when you have the MacBook Pro on your lap. Depending on the task you are performing, the bottom surface of the MacBook Pro can get warm, but nothing to be concerned about. Before you point me to the nearest Windows gaming machine instead, let me mention that this review really isn’t a comparison against Windows laptops, but rather advances by Apple within the MacBook Pro line. But for context, I have owned six laptops to date – 3 PCs and 3 Macs. 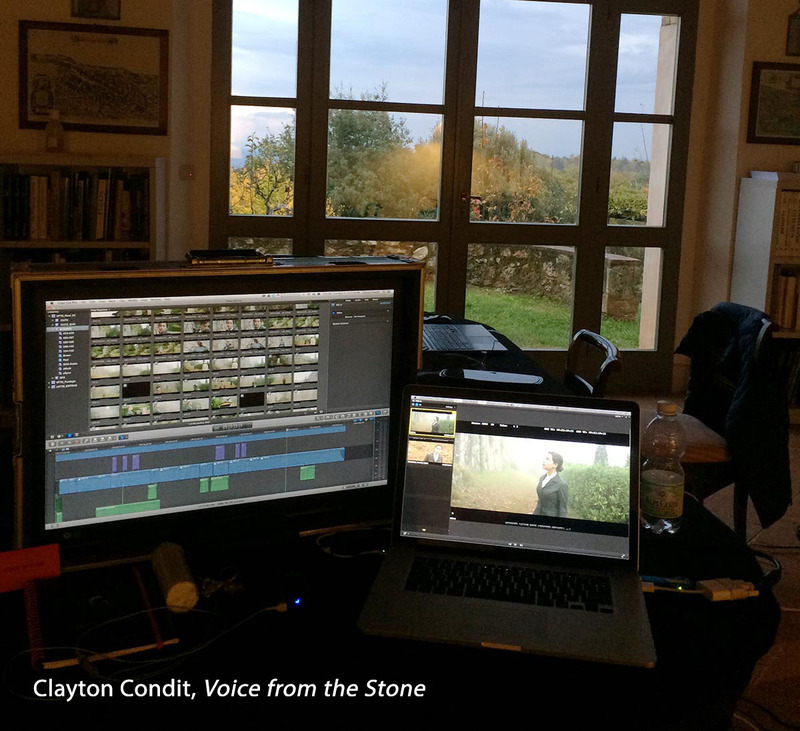 I shifted to Mac in order to have access to Final Cut Pro and have been happy with that move. The first 2 PCs developed stress fractures at the lid hinges before they were even a year old. The third, an HP, was solid, but after I gave it to my daughter, the power supply shorted. In addition, the hard drive became so corrupt (thank you Windows) that it wasn’t worth trying to recover. In short, my Mac laptop experience, like that of others, has been one of good value. MacBook Pros generally last years and if you use them for actual billable work (editing, DIT, sound design, etc. ), then the investment will pay for itself. This is the fastest and best laptop Apple has made. Apple engineering has nicely balanced power, size, weight, and battery life in a way that’s hard to counter. It is expensive, but if you try to find an equivalent PC, it is hard to actually find one with these exact same specs or components, until you get into gaming PCs. Those a) look pretty ugly, b) tend to be larger and heavier, with lower battery life, and c) cost about the same. There’s also the sales experience. Try to navigate nearly any PC-centric laptop supplier in an effort to customize the options and it tends to become an exercise in frustration. On the other hand, Apple makes it quite easy to buy and configure its machines with the options that you want. I do have to mention that when these MacBook Pros first came out there was an issue of performance throttling, which was quickly addressed by Apple and fixed by a supplemental macOS release. That had already been installed on my unit, so no throttling issues that affected any of my performance tests. Likewise, there have been debris complaints with the first run of the “butterfly” keys used in this and the previous version of these laptops. As other reviewers have stated when tear-downs have been done, Apple has added a membrane under the keys to help with sound dampening. Some reviewers have speculated that this also helps mitigate or even eliminate the debris issues. Whatever the reason, I liked typing on this keyboard and it did sound quieter to me. I tend to bang on keys, since I’m not a touch typist. The feel of a keyboard to a typist can be very subjective and in the course of a day, I tend to type on several vintages of Apple keyboards. In general, the keyboard on this newest MacBook Pro felt comfortable to me, when used for standard typing. When Apple introduced the Touch Bar in 2016, I thought ‘meh’. But after these couple of weeks, I’ve really enjoyed it, especially when an application like Final Cut Pro X extends its controls to the Touch Bar. You can switch the Touch Bar preferences to only be function keys if you like. But having control strip options makes it quick to adjust screen brightness, volume, and so on. In the case of FCPX, you also get a mini-timeline view in some modes. Even QuickTime player calls up a small movie strip into the Touch Bar screen for the file being played. These units also include Apple’s T2 security chip, which powers the fingerprint Touch ID and the newly added “Hey Siri” commands. The Retina screen on this laptop is gorgeous with up to 500 nits brightness and a wide color gamut. Another new addition is True Tone, which adjusts the display’s color temperature for the surrounding ambient light. That may become a more important selling point in the coming years. There is growing concern within the industry that blue light emitted from computer displays causes long-term eyesight damage. Generally, True Tone warms up the screen when under interior lighting, which reduces eye fatigue when you are working with a lot of white documents. But my recommendation is that editors, colorists, photographers, and designers turn this feature off when working on tasks that require color accuracy. Otherwise, the color balance of media will appear too warm (yellowish). The 2018 15” MacBook Pro has four Thunderbolt 3/USB-C ports and a headphone jack. The four ports (two per side) are driven by two internal Thunderbolt 3 (40Gb/s) buses. 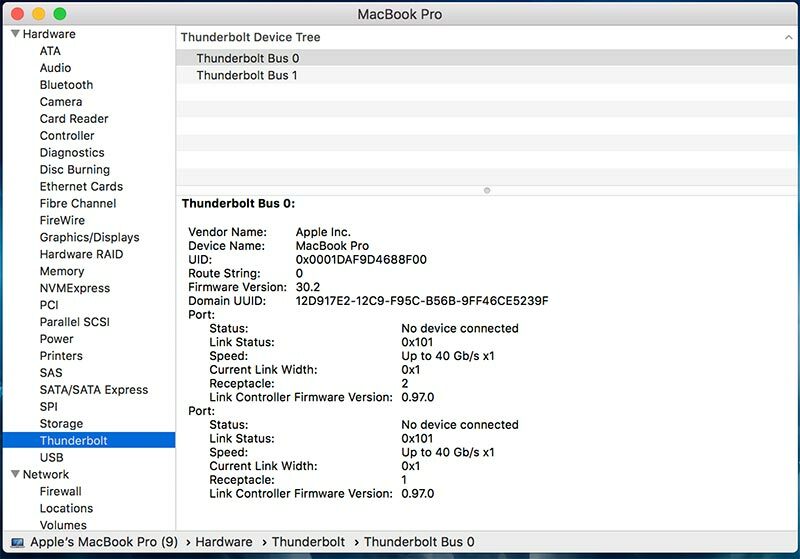 It appears that’s one for each side, which means that plugging in two devices on one side will split the available Thunderbolt 3 bandwidth on that bus in half. Although, this doesn’t seem to be much of a factor during actual use. The internal bus routing does appear to be different from the previous model, in spite of what otherwise is more or less the same hardware configuration. Gone are all other connections, so plan on purchasing an assortment of adapters to connect peripherals, such as those ubiquitous USB thumb drives or hardware dongles (license keys). 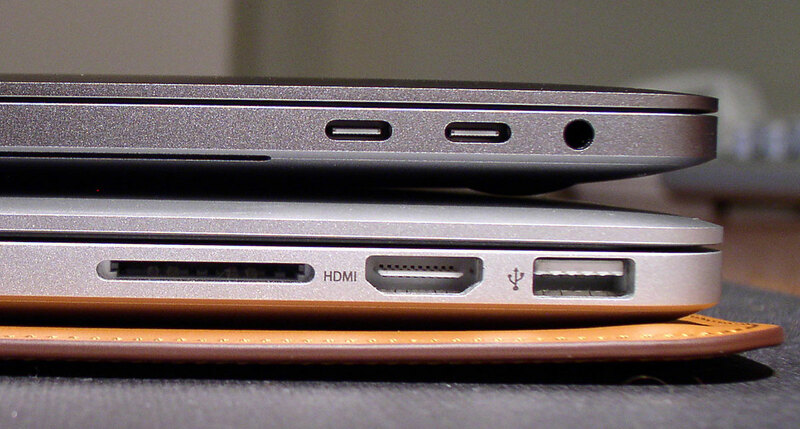 I do wish that Apple had retained at least one standard USB port. Thunderbolt 3 supports power, so no separate MagSafe port is required either. (Power supply and cable are included.) One minor downside of this is that there is no indicator LED when a full battery charge is achieved, like we used to have on the MagSafe plug. Many users have taken to relying on their MacBook Pros as the primary machine for their home or office, as well on the road. The upside of Thunderbolt connectively is that when you get back to the office, connecting a single Thunderbolt 3 cable to the rest of your suite peripherals (dock, display, eGPU, whatever) is all you need to get up and running. Simple and clean. Stick the laptop in a cradle in the clamshell mode or on a laptop stand, connect the cable, and you now have a powerful desktop machine. MacBook Pros have gained enough power in recent years that – unless your demands are heavy – they can easily service your editing, photography, and graphic needs. I own a mid-2014 15” MacBook Pro (the last series with an NVIDIA GPU), which I purchased in early 2015. Three years is often a good interval for most professional users to plan on a computer refresh, so I decided to compare the two. 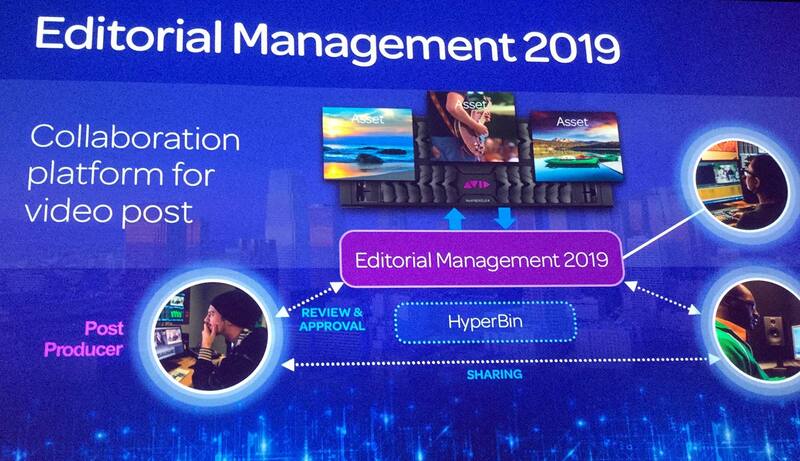 To start with, the new 2018 machine boots faster and apps also open faster. It’s even slightly smaller and thinner than the mid-2014 model. 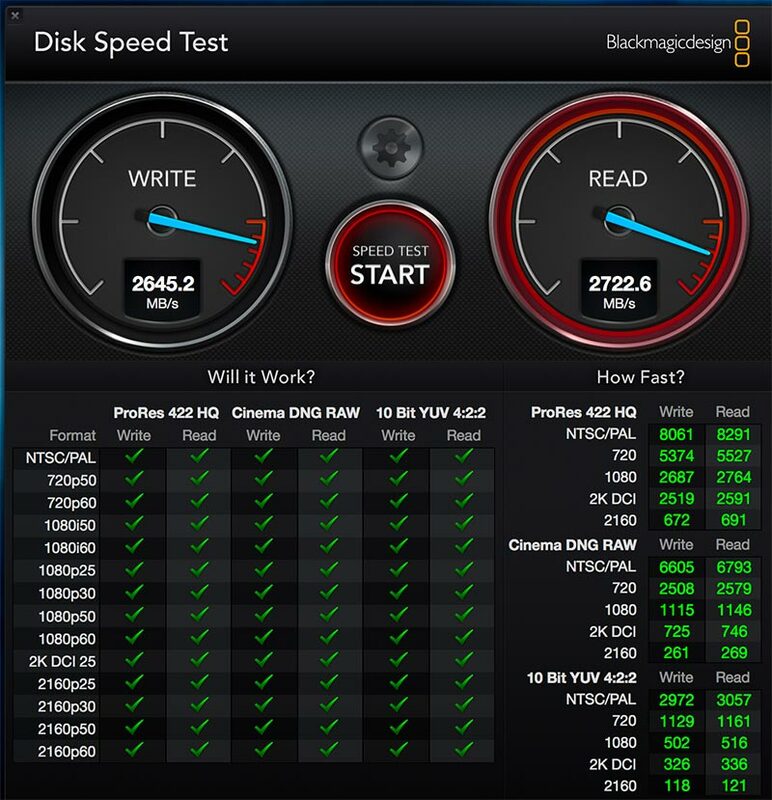 Both have fast SSDs, but the 2018 model is significantly faster (2645 MB/s write, 2722 MB/s read – Blackmagic Speed Test). As with other reviews, I pulled an existing edit project for my test sequence. 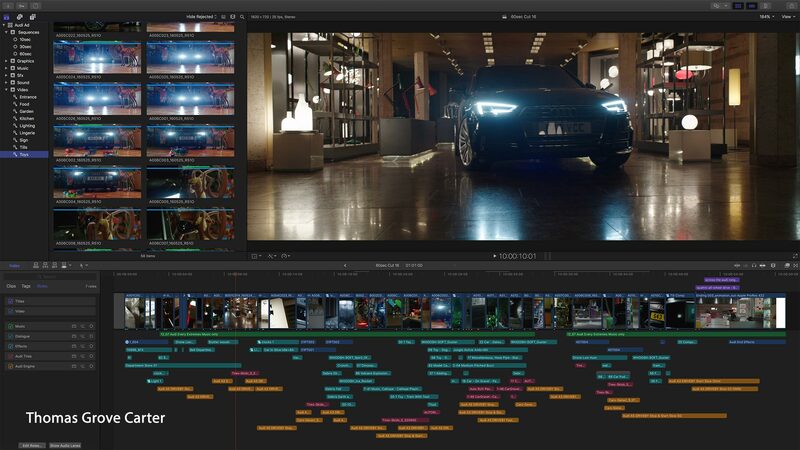 This timeline could be the same in Final Cut Pro X, Premiere Pro, and Resolve – without effects unique to one specific software application. My timeline consisted of 4K Alexa ProResHQ files that had a LUT and were scaled into a 1080p sequence. A few 1080p B-roll shots were also part of this sequence. The only taxing effect was a reverse slomo 4K clip, using optical flow interpolation. 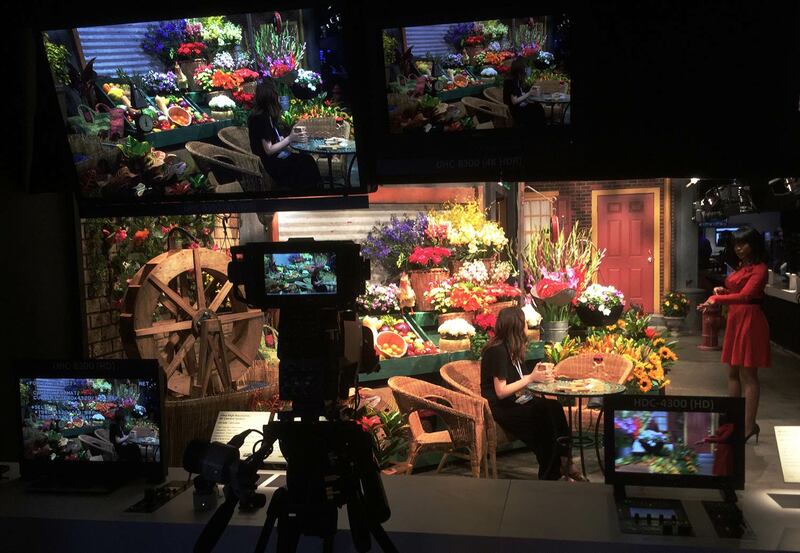 Both machines handled 4K ProRes footage just fine at full resolution using various NLEs. 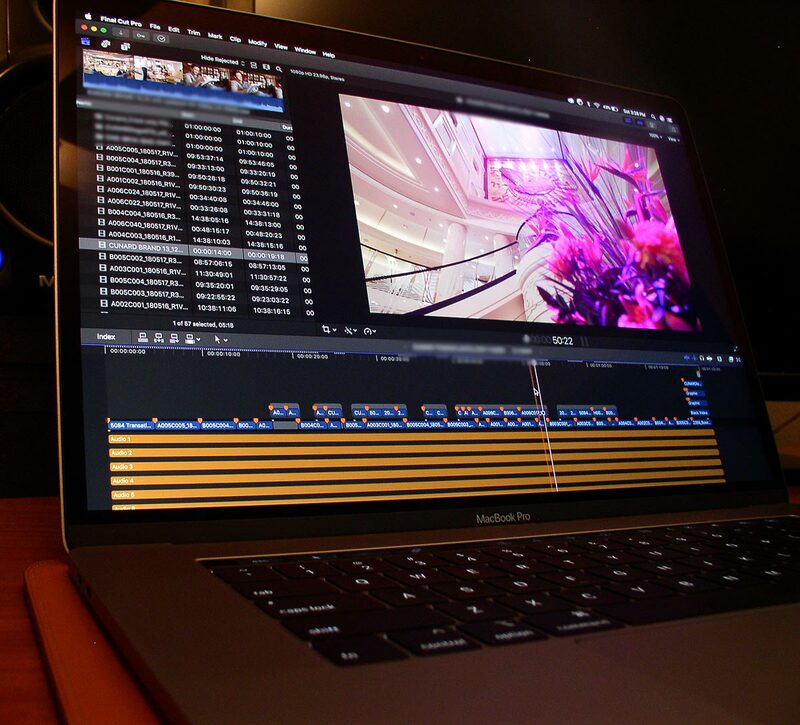 Exports to ProRes and H.264 were approximately twice as fast from Final Cut Pro X on the newer MacBook Pro. The same exports from Premiere Pro were longer overall than from FCPX, but faster on the 2018 machine, as well (see the section at the end for performance by the numbers). If you are a fan of Final Cut Pro X, this machine is one of the best to use it on, especially if you can store your media on the internal drive. However, as an equalizer of sorts, I also ran these same test projects from an external SSD connected via USB3. While fast (over 200+ MB/s read/write), it wasn’t nearly as fast as the internal SSDs. Nevertheless, performance didn’t really lag behind with either FCPX or Premiere Pro. However, the optical flow clip did pose some issues. It played smoothly at “best quality” in FCPX, but oddly stuttered in the “best performance” setting. It did not play well in Premiere Pro at either full or half resolution. I also believe it contributed to the slower export times evident with Premiere Pro. I tested a second project made up of all 4K REDCODE raw footage, which was placed into a 4K timeline. 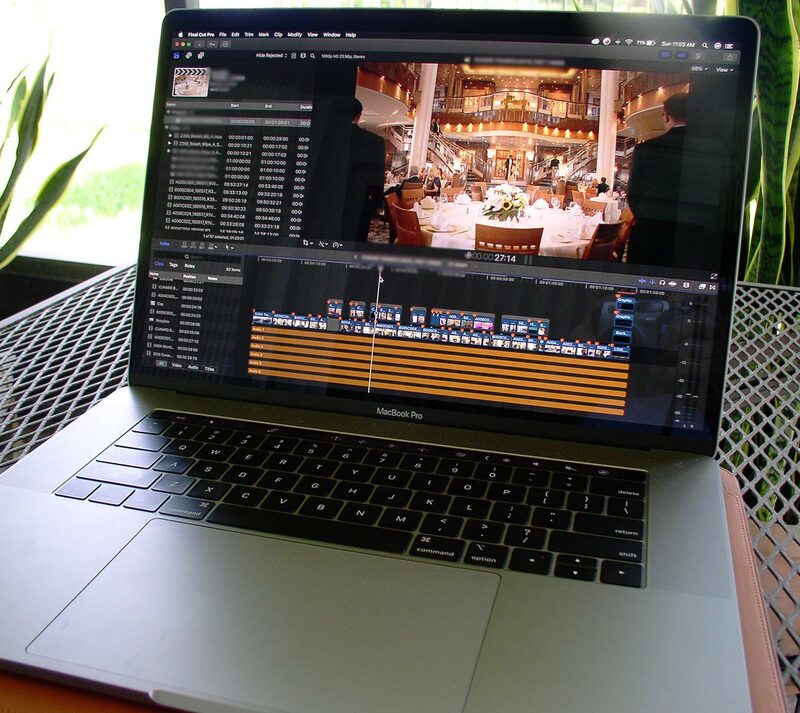 The 2018 MacBook Pro played the individual files and edited sequences smoothly when set to “best performance” in FCPX or half resolution in Premiere Pro. However, bumping the settings up to full quality caused stuttering with either NLE. 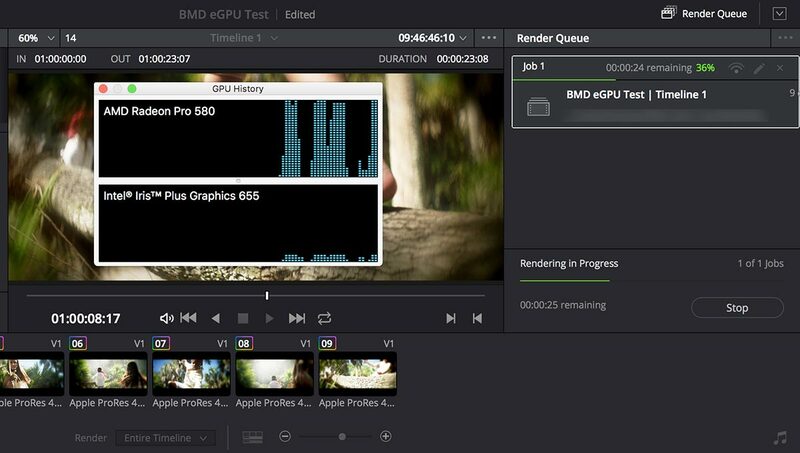 My last test was the same DaVinci Resolve project that I’ve used for my eGPU “stress” tests. These are anamorphic 4K Alexa files in a 2K DCI timeline. I stripped off all of the added filters that I had applied for the test of the eGPU, leaving a typical editing timeline with only a LUT and basic correction. This sequence played smoothly without dropping frames, which bodes well for editors who are considering a shift to Resolve as their main NLE. Speaking of the Blackmagic eGPU tests, I had one day of overlap between the loans of the MacBook Pro and the Blackmagic eGPU. 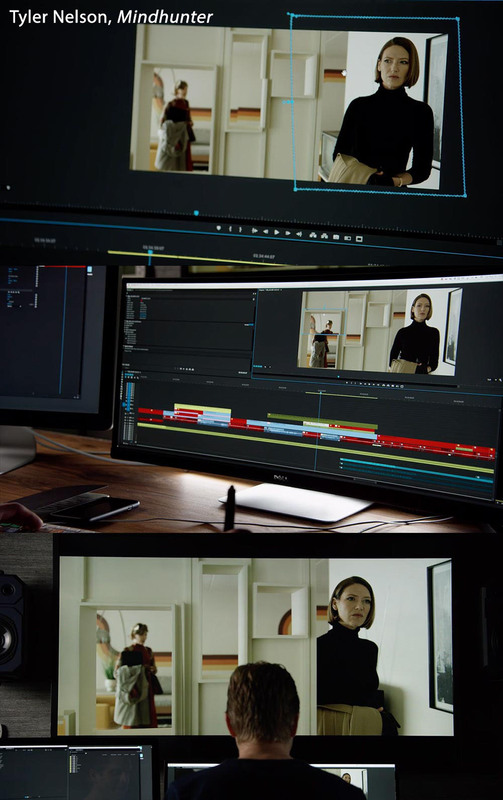 DaVinci Resolve’s real-time playback performance and exports were improved by about a 2X factor with the eGPU connected to the 15” model. Naturally, the 15” machine by itself was quite a bit faster than the 13” MacBook Pro, so the improvement with an eGPU attached wasn’t as dramatic of a margin as the test with the 13” demonstrated. Even with this powerhouse MacBook Pro, the Blackmagic eGPU still adds value as a general appliance, as well as providing Resolve acceleration. A note on battery life. The spec claims about 10 hours, but that’s largely for simple use, like watching web movies or listening to iTunes. Most of these activities do not cause the graphics to switch over from the integrated Intel to the Radeon Pro GPU, which consumes more power. In my editing tests with the Radeon GPU constantly on – and most of the energy saving settings disabled – I got five to six hours of battery life. That’s even when an application like FCPX was open, but minimized, without any real activity being done on the laptop. I also ran a “heavy load” test, which involved continually looping my sample 1080 timeline (with 4K source media) full screen at “best quality” in FCPX. This is obviously a worst case scenario, but the charge only lasted about two hours. In short, the battery capacity is very good for a laptop, but one can only expect so much. If you plan on a heavy workload for an extended period of time, stay plugged in. The 2018 MacBook Pro is a solid update that creative professionals will certainly enjoy, both in the field and even as a desktop replacement. If you bought last year’s model, there’s little reason to refresh your computer, yet. But three years or more? Get out the credit card! The Blackmagic eGPU features a sleek, aluminum enclosure that makes a fine piece of desk art. It’s of similar size and weight to a 2013 Mac Pro and is optimized for both cooling and low noise. The unit is built around the AMD Radeon Pro 580 GPU with 8GB of video memory. It delivers 5.5 teraflops of processing power and is the same GPU used in Apple’s top-end, 27” Retina 5K iMac. Thunderbolt 3 technology supports 40Gb/s of bandwidth, as well as power. The Blackmagic eGPU includes a beefy power supply that can also power and/or charge a connected MacBook Pro. 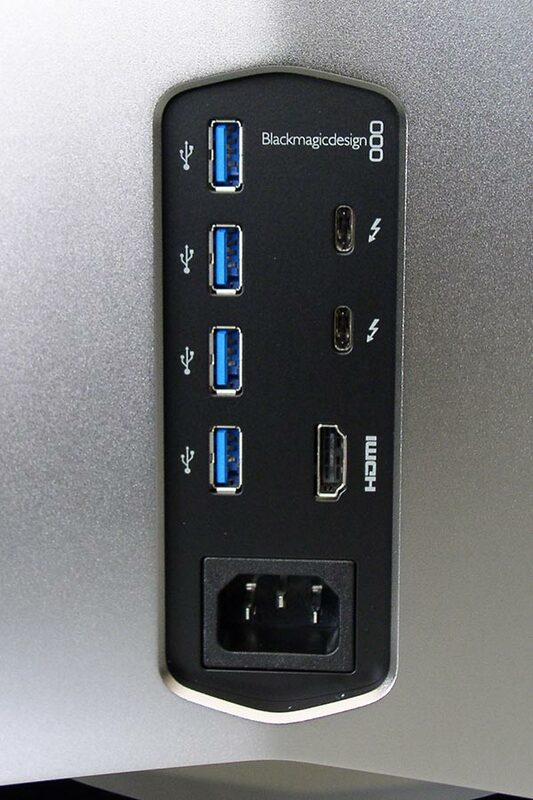 There are two Thunderbolt 3 ports, four USB3.1 ports, and HDMI. Therefore, you can connect a Mac, two displays, plus various USB peripherals. It’s easy to think of it as an accelerator, but it is also an appliance that can be useful in other ways to extend the connectivity and performance of MacBook Pros. Competing products with the same Radeon 580 GPU may be a bit less expensive, but they don’t offer this level of connectivity. Apple and Blackmagic both promote eGPUs as an add-on for laptops, but any Thunderbolt 3 Mac qualifies. I tested the Blackmagic eGPU with both a high-end iMac Pro and the base model 13” 2018 MacBook Pro with touch bar. This model of iMac Pro is configured with the more advanced Vega Pro 64 GPU (16GB VRAM). My main interest in including the iMac Pro was simply to see whether there would be enough performance boost to justify adding an eGPU to a Mac that is already Apple’s most powerful. Installation of the eGPU was simply a matter of plugging it in. A top menu icon appears on the Mac screen to let you know it’s there and so you can disconnect the unit while the Mac is powered up. My focus is editing and color correction and not gaming or VR. Therefore, I ran tests with and without the eGPU, using Final Cut Pro X, Premiere Pro, and DaVinci Resolve (Resolve Studio 15 beta). Anamorphic ARRI Alexa ProRes 4444 camera files (2880×2160, native / 5760×2160 pixels, unsqueezed) were cut into 2K DCI (Resolve) and/or 4K DCI (FCPX, Premiere Pro) sequences. This meant that every clip got a Log-C LUT and color correction, as well as aspect ratio correction and scaling. In order to really stress the system, I added several GPU-accelerated effect filters, like glow, film grain, and so on. Finally, timed exports went back to ProRes 4444 – using the internal SSD for media and render files to avoid storage bottlenecks. Not many applications take advantage of this newfound power, yet. Neither FCPX nor Premiere utilize the eGPU correctly or even at all. Premiere exports were actually slower using the eGPU. In my tests, only DaVinci Resolve gained measurable acceleration from the eGPU, which also held true for a competing eGPU that I compared. If editing, grading or possibly location DIT work is your main interest, then consider the Blackmagic eGPU a good accessory for DaVinci Resolve running on a MacBook Pro. 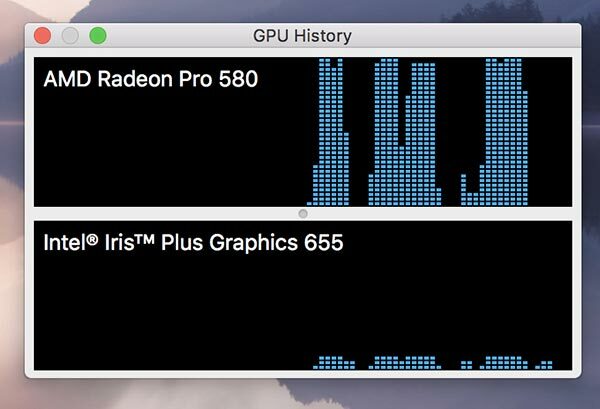 As a general rule, lesser-powered machines benefit more from eGPU acceleration than powerful ones, like the iMac Pro, with its already-powerful, built-in Vega Pro 64 GPU. Apple’s ability to work with eGPUs is enabled by Metal. This is their framework for addressing hardware components, like graphics and central processors. The industry has relied on other frameworks, including OpenGL, OpenCL and CUDA. The first two are open standards written for a wide range of hardware platforms, while CUDA is specific to Nvidia GPUs. Apple is deprecating all of these in favor of Metal (now Metal 2). With each coming OS update, these will become more and more “legacy” until presumably, at some point in the future, macOS may only support Metal. Apple’s intention is to gain performance improvements by optimizing the code at a lower level “closer to the metal”. It is possible to do this when you only address a limited number of hardware options, which may explain why Apple has focused on using only AMD and Intel GPUs. The downside is that developers must write code that is proprietary to Apple computers. 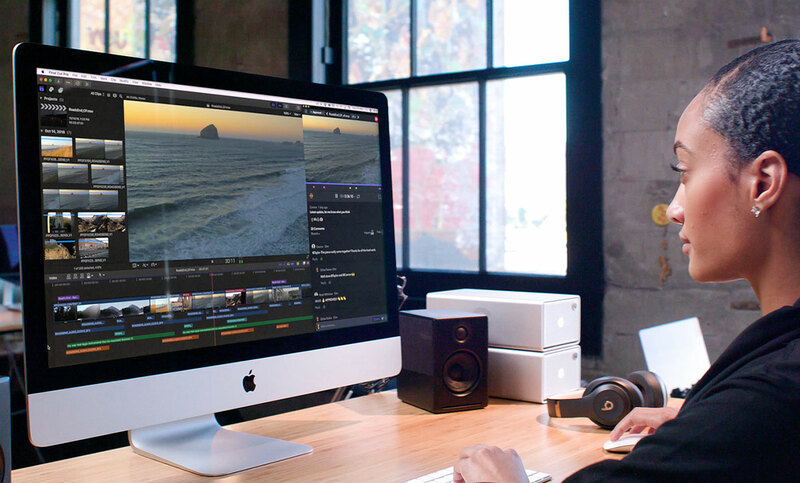 Metal is in part what gives Final Cut Pro X it’s smooth media handling and real-time performance. Both Premiere Pro and Resolve give you the option to select Metal, when installed on Macs. In the tests that I ran, I presume FCPX only used Metal, since there is no option to select anything else. I did, however, test both Premiere Pro/Adobe Media Encoder and Resolve with both Metal and again with OpenCL specifically selected. I didn’t see much difference in render times with either setting in Premiere/AME. Resolve showed definite differences, with OpenCL the clear winner. For now, Resolve is still optimized for OpenCL over Metal. The MacBook Pro is where the Blackmagic eGPU makes the most sense. It gives you better performance with faster exports, and adds badly-needed connectivity. My test Resolve sequence is a lot more stressful than I would normally create. It’s the sort of sequence I would never work with in the real world on a lower-end machine, like this 13” model. But, of course, I’m purposefully pushing it through a demanding task. When I ran the test on the laptop without the eGPU connected, it would barely play at all. Exports at source resolution rendered at around 1fps. Once I added the Blackmagic eGPU, this sequence played in real-time, although the viewer would start to drop frames towards the end of each shot. Exports at the source resolution averaged 5.5fps. At timeline resolution (2K DCI) it rendered at up to 17fps, as opposed to 4fps without it. That’s over 4X improvement. Everyone’s set of formats and use of color correction and filters are different. Nevertheless, once you add the Blackmagic eGPU to this MacBook Pro model, functionality in Resolve goes from insanely slow to definitely useable. 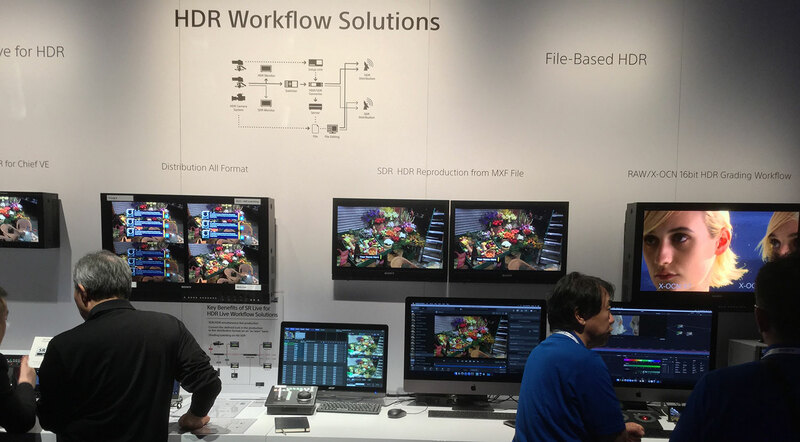 If you intend to do reliable color correction using Resolve, then a Thunderbolt 3 UltraStudio HD Mini or 4K Extreme 3 is also required for proper video monitoring. 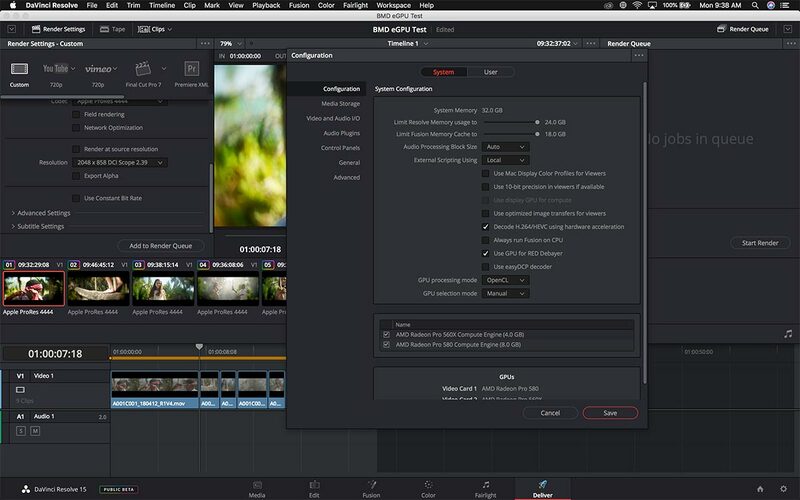 Resolve doesn’t send video signals over HDMI, like Premiere Pro and Final Cut Pro X can. It will be interesting to see if Blackmagic also offers a second eGPU model with the higher-end chip in the future. That would likely double the price of the unit. 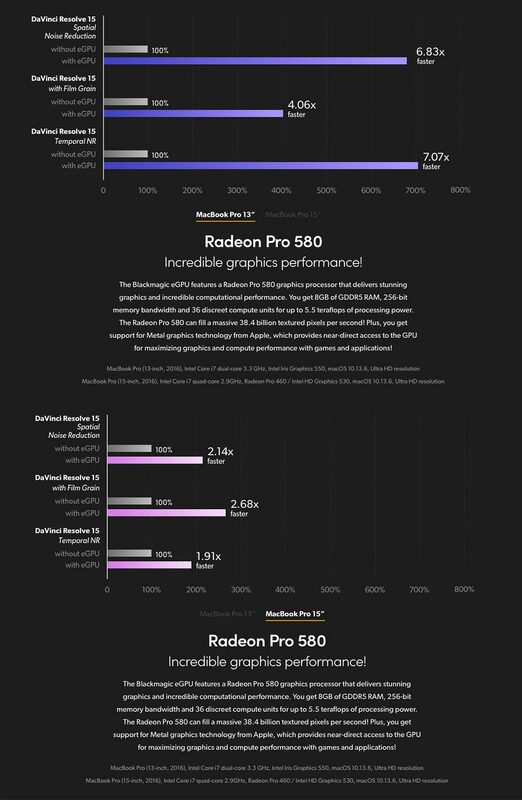 In the testing I’ve done with other eGPUs that used a version of the Vega 64 GPU, I’m not convinced that such a product would consistently deliver 2X more performance to justify the cost. 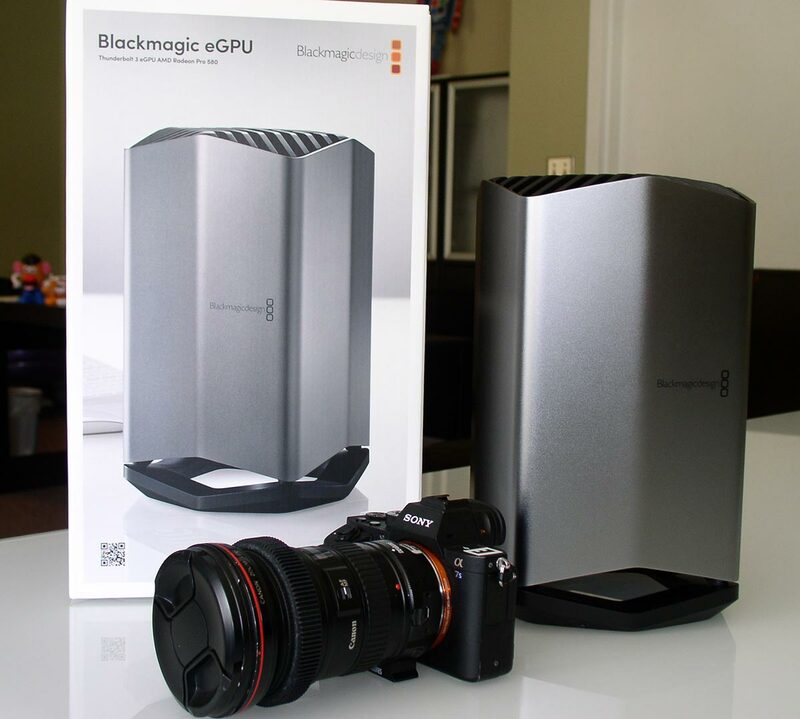 This Blackmagic eGPU adds a healthy does of power and connectivity for current MacBook Pro users and that will only get better in the future. I think it’s clear that Apple is looking towards eGPUs are a way to enhance the performance of its MacBook Pro line, without compromising design, battery life, and cooling. Cable up to an external device and you’ve gained back horsepower that wouldn’t be there in the standard machine. After all, you mainly need this power when you are in a fixed, rather than mobile, location. The Blackmagic eGPU is portable enough, so that as long as you have electrical power, you are good to go. I think that neatly sums it up, so it’s nice to see Blackmagic Design fill in the gaps. 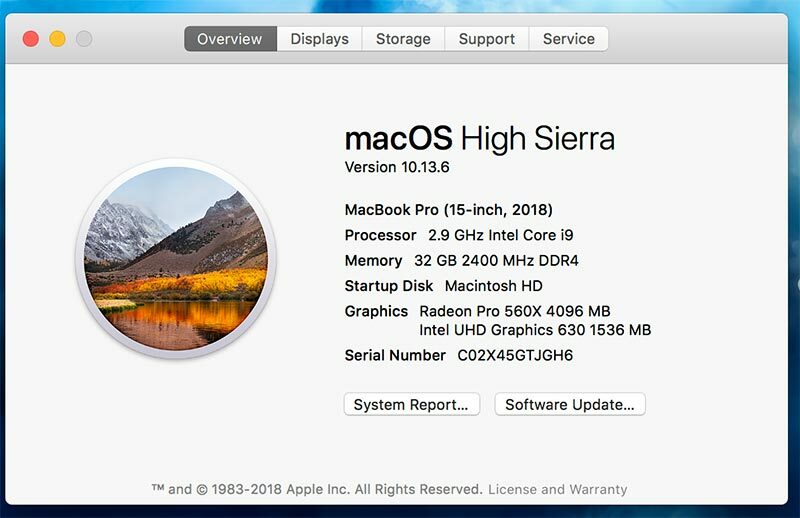 UPDATE: The September 2018 release of Mojave has changed the behavior of Final Cut Pro X when an eGPU is connected. 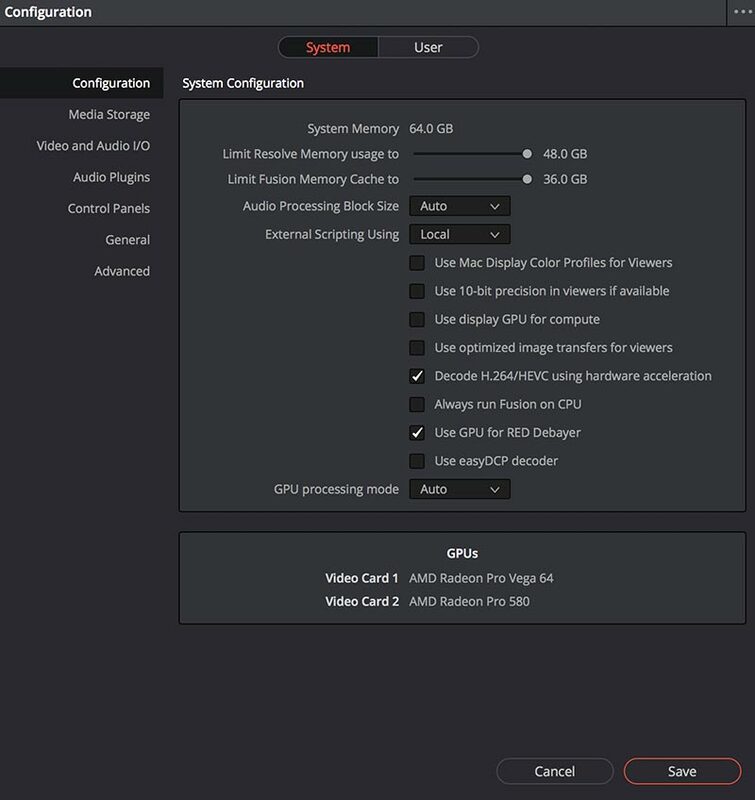 It is now possible to set a preference for whether the internal or external GPU is to be used with Final Cut Pro X.
I started my editing career in the era of linear editing suites, where dedicated control panels ruled. 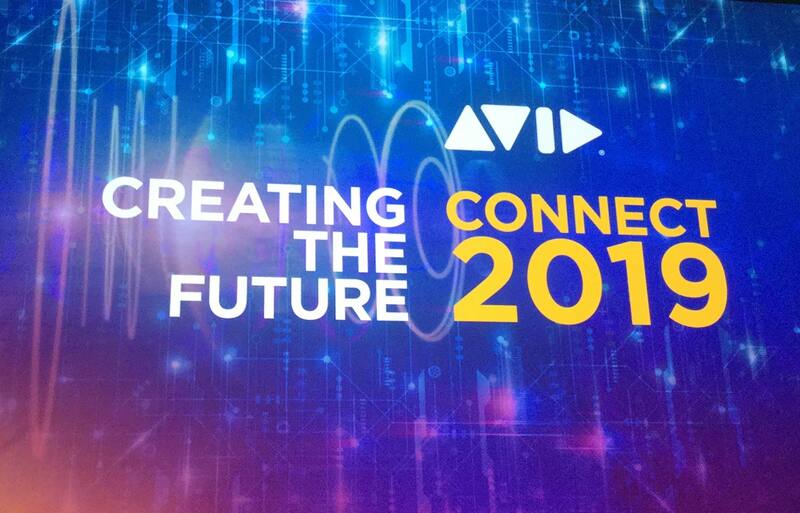 CMX keyboards, Grass Valley switchers, ADOs – you name it. 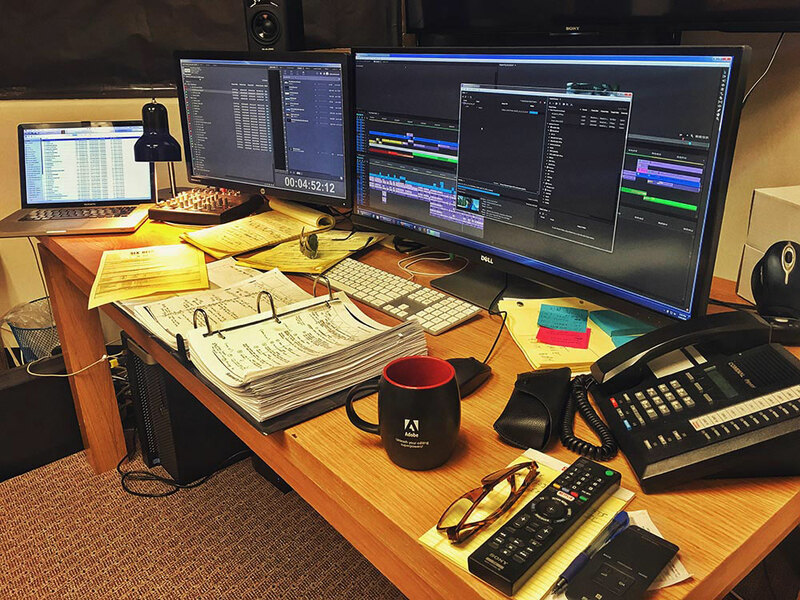 These enabled operational speed and experienced editors could drive these rooms like a virtuoso pianist. Much of that dexterity has been lost, thanks to the ubiquity of software-based user interfaces for applications running on general purpose computers and controlled by a mouse. But Grant Petty and Blackmagic Design have set out to change that. 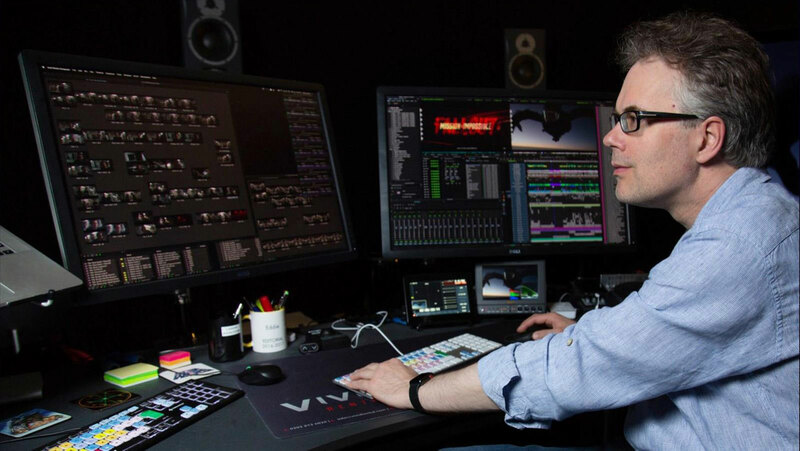 At the beginning of March, he introduced two new color correction control panels as companion tools to the company’s DaVinci Resolve editing and grading solution. According to Petty more people are using Resolve to edit than to color correct. By introducing these new panels, he hopes to get more of these users involved in the color correction side of Resolve. Blackmagic Design now offers three DaVinci Resolve panels: Advanced ($29,995), Mini ($2,995) and Micro ($995). Obviously, the Advanced panel is for serious, dedicated color correction facilities with the traffic to support that investment. It’s a large, three-module console with four trackball/ring controls in the center section. The Mini and Micro panels are designed to be more portable than the Advanced panel. The Mini is essentially a three-trackball subset of the center section of the larger panel. The Micro is the trackball section of the Mini, without the Mini’s tilted backplane. 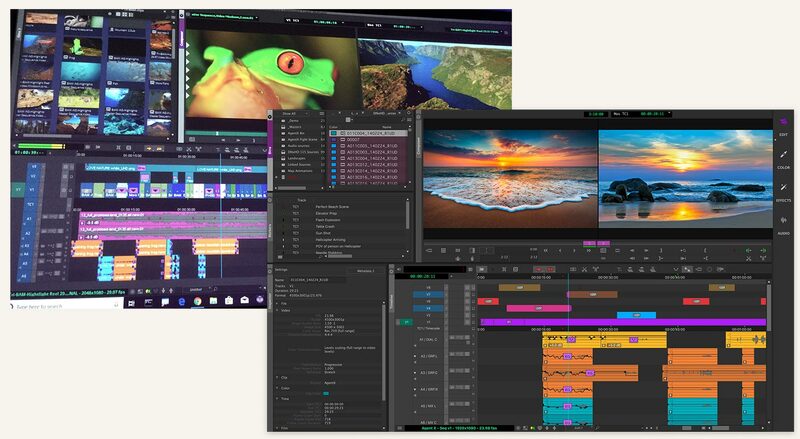 If you are an editor who uses Resolve for color correction, but that’s less than 50% of your workload, then the Micro is probably the right panel for you. If you color correct more than 50%, then the Mini is the better bet. However, these panels are designed for more than just editors. If you work as a DIT (digital imaging technician) in the field or on-set, you most likely use Resolve, making these panels the perfect addition to your toolkit. 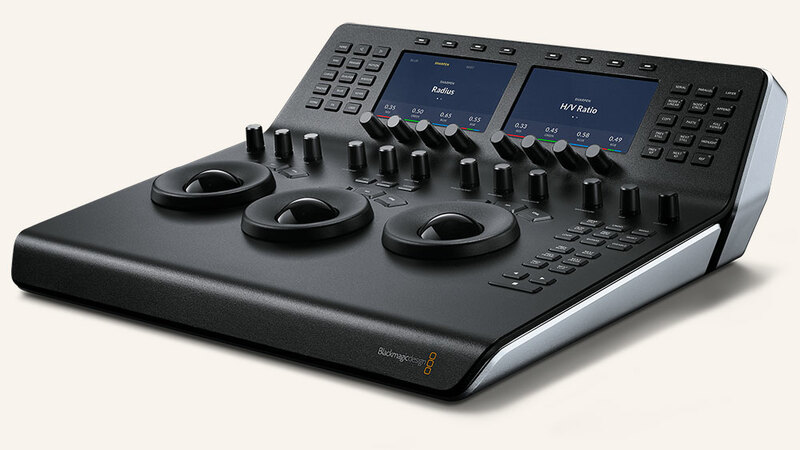 Blackmagic Design loaned me a Resolve Mini panel for about two weeks for this review. I have to say, it was love at first sight. 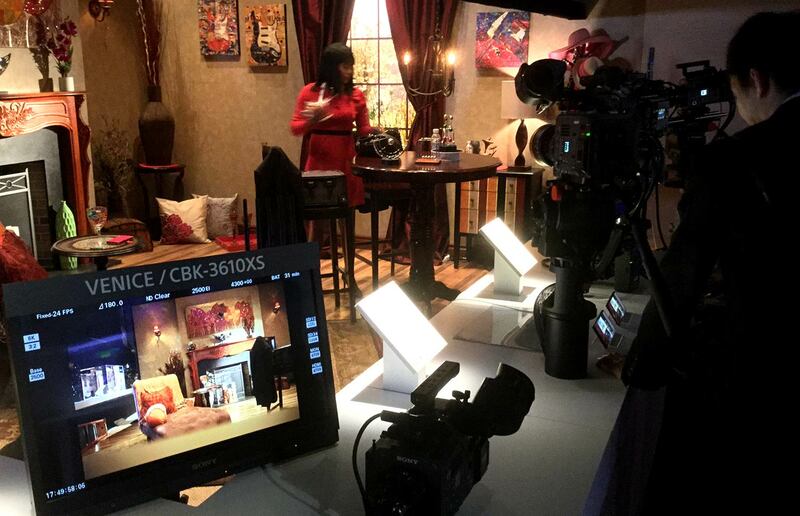 These panels continue with Blackmagic’s modern industrial design style. This has earned them an international Design Team of the Year award from the Red Dot Awards last year. The Mini panel is a well-constructed metal console with precision trackballs, rings, knobs and buttons. (The panel also uses some high-impact plastic in its construction.) With packaging, it weighs 24 pounds, thus it’s more “transportable” than portable. If you want something to toss into a gig bag, then the Micro would be the panel to buy. The Mini is better for facility use; however, it’s easy enough to move between rooms as needed. The smaller Micro is bus-powered over USB, but the Mini includes several connection and power options. Communications can be over ethernet or USB/USB-C. Power options include standard AC wall power, 12 volt 4-pin, or ethernet PoE. Like other Blackmagic Design products, you have to supply your own power chord, but the Mini does include a USB-to-USB-C adapter chord. To run the panel, you need to install Resolve Studio (paid) or Resolve (free), version 12.5.5 or later. And yes, these panels only work with Resolve. Connection is drop-dead easy. Just power it up and plug in the USB cable to any available USB port on your computer (or looped off of a connected device, like a monitor). Then select the panel in Resolve’s preferences. This ease of installation is refreshing, without any of the finickiness of other protocols, like EUCON. The one downside for editors is that this panel only controls the color mode of Resolve. There are no dedicated controls for editing, importing or exporting. So you won’t be able to shed the keyboard and mouse completely. The main section of the panel includes three trackballs for hue control and rings for luminance control. Generally these correspond to shadow, mids and highlight ranges of the image. Across the top of this flat section are twelve knobs for additional color controls. Push in the knobs to reset their adjusted values. On the right are buttons to move through nodes, clips and stills, along with play/stop buttons. The slanted backplane of the Mini panel features two five-inch, high-resolution LCD menu/control displays, fifteen buttons on either side, eight soft keys across the top, and eight knobs under the displays. The buttons on the left select the portion of the interface that you need to deal with, like primary correction, tracking, sizing, blurs, etc. 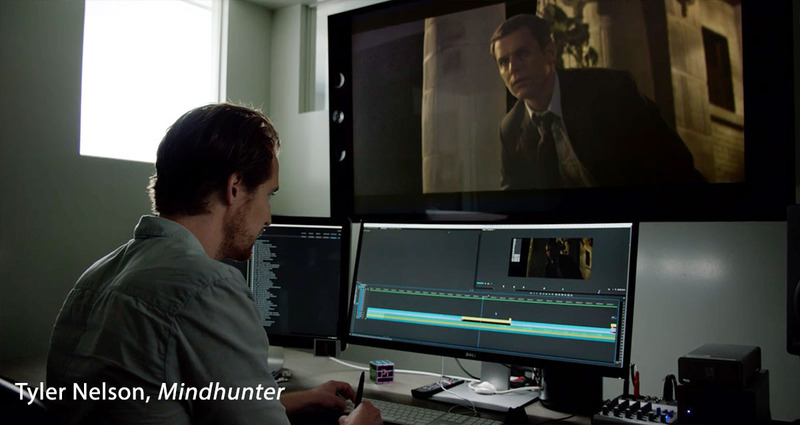 The buttons on the right are to add nodes, copy and paste, move through stills and keyframes, and toggle the computer display to a full screen viewer. 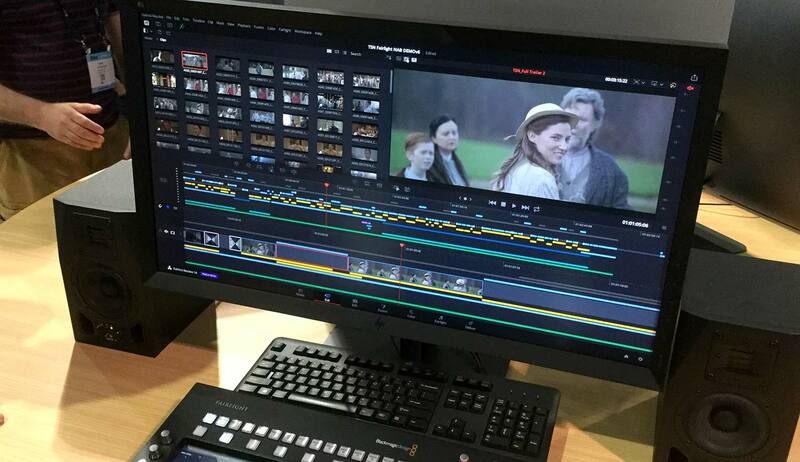 Resolve’s primary color correction window is pretty deep, requiring paging through different sections of the control window, such as primary bars, primary wheels, log, raw and more. There’s actually a fourth control wheel for offset in addition to lows, mids and highs. Much of this is exposed to the panel. For example, you can use the knobs to adjust the primary bars, while also moving the trackballs, which would normally adjust the primary wheels. 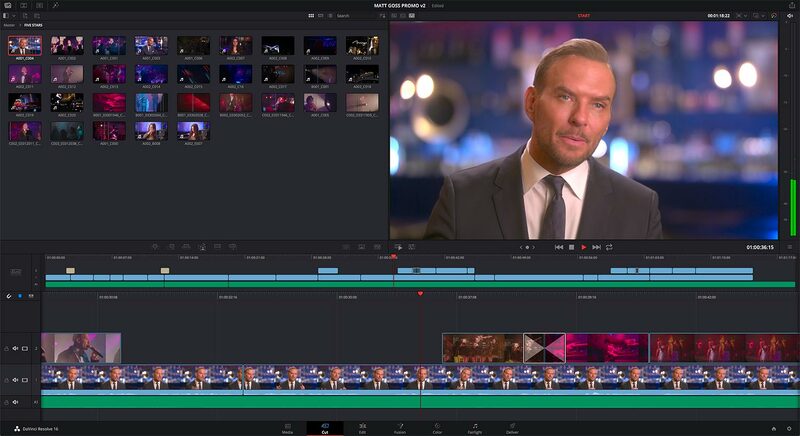 Across the bottom of Resolve’s primary window are additional controls for contrast, saturation and more, which spread across two pages of that interface window. These controls are all active on the Mini by using the twelve knobs located above the trackballs. In some cases, you’ll need to change the part of the interface that appears on the two LCDs. This is enabled by the two arrow keys in the upper left corner of the panel. However, switching pages on the panel is required less often than when you only use the mouse with the interface. The offset function (the fourth primary wheel and fourth trackball on the Advanced panel) can be accessed by selecting the offset key located above the middle trackball. In that mode, the left ring controls temperature, middle ring controls tint and right ring controls level. The right trackball controls color balance. Resolve is built around controls that may or may not be present in other applications. For example, it is designed as a YRGB system, meaning you can gang level and color controls, but can also correct Y (luminance) lift/gamma/gain levels independent of color (RGB). In addition to standard three-wheel color corrections, you also have contrast/pivot control, as well as some photographic-style enhancements. These include color boost (like a vibrance control), mid detail (softens or sharpens the image), plus blurs. In you are using Resolve Studio, then temporal noise reduction is active. From what I can tell, this is the only control not active when using the panel with the free version of Resolve. Resolve uses an elaborate curves system, which you would think would be difficult to implement with knobs and buttons. However, Blackmagic has done a wonderful job. The normal curve levels (ganged or independent channels) can be adjusted by six of the knobs under the LCD displays. These work at preset intervals of 0, 20, 40, 60, 80 and 100% along the curve path from dark to light. If you use hue curves, you start with one of six preset colors selected from the panel. Then an “input hue” knob lets you change the selected color left or right within its hue range, based on the last color knob selected. Custom curves also offer a YSFX tool. This is an adjustment to shrink and even invert the curve range. The extreme opposite setting results in a negative image. There are plenty of other tools. Resolve has a powerful point-cloud tracker, which can also be accessed from the Mini. One handy feature is the ability to automatically add a node with a preset box or circle window. Once applied, then you adjust the window. Although you can step through keyframes, it still requires the mouse to add or delete keyframes. You also have to delete nodes via mouse and not from the panel. Some keys, like FX and User are available for future expansion. I spent about a week with the panel, working on and off with some test projects. Needless to say, I enjoyed the process, but there are a few things I wish were different. The Mini panel is really designed for full-time color grading. If you have a desk layout for editing, then there probably isn’t enough extra space to situate the Mini is an optimal location. For instance, if you wanted to place the panel between your keyboard and display, then the Micro would be a better option. There is no power switch, so the panel is always on. Fortunately, it’s fan-less and quiet, even when on. There are no illumination controls for the displays or the backlit keys. That’s fine in a normally lit room, but might be too bright for some, if you keep the light level very low in the suite. I’d like to see more versatile transport control. Resolve supports faster-than-real-time playback and scrubbing, but the control panel only gives you 1X play in the forward or reverse directions. It would be nice to have better transport control from the panel. Resolve functions, like adding LUTs, can’t be handled from the panel. The controls to select HSL qualifiers for secondary color correction include eyedroppers, but you still need to use the mouse to graphically pick the right area of the screen. It would be nice if you could do this with the trackball. These are minor points and by no means deal breakers. 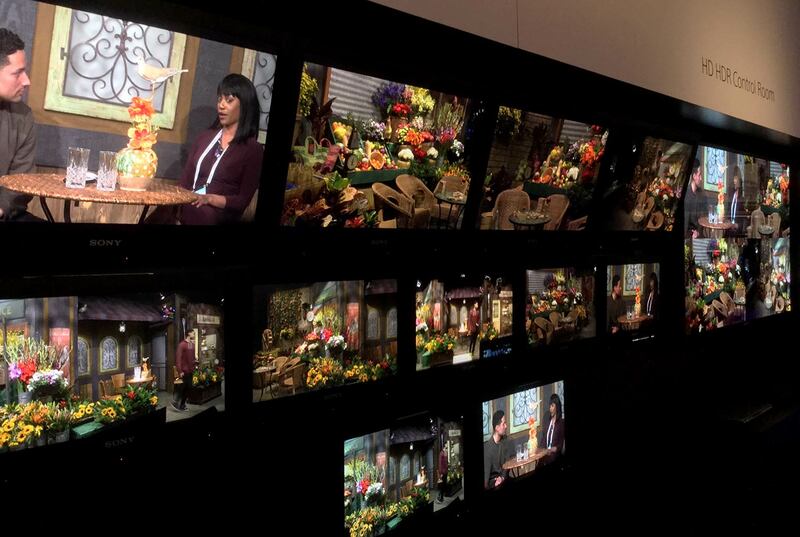 A dedicated color correction panel will not only make you a faster colorist – it will also make you a better one. More controls are front and center, which means you are likely to discover and use processes that you would otherwise miss if you simply relied on the mouse or a pen and tablet. You have two hands to control the panel. As with any other tactile task, such as audio mixing with a mixing board, your hands will soon know instinctively what to adjust without having to look at the panel. You can stay more focused on your video display and the scopes. Grading is not only faster, but it’s more intuitive. Some are going to baulk at the price, no matter how reasonable these portable panels are. To place that into context, at $2,995, the Mini is still less expensive than a decked out Mac Pro or MacBook Pro, which might be your main editing/grading workstation. Plus they work with the free version of Resolve. 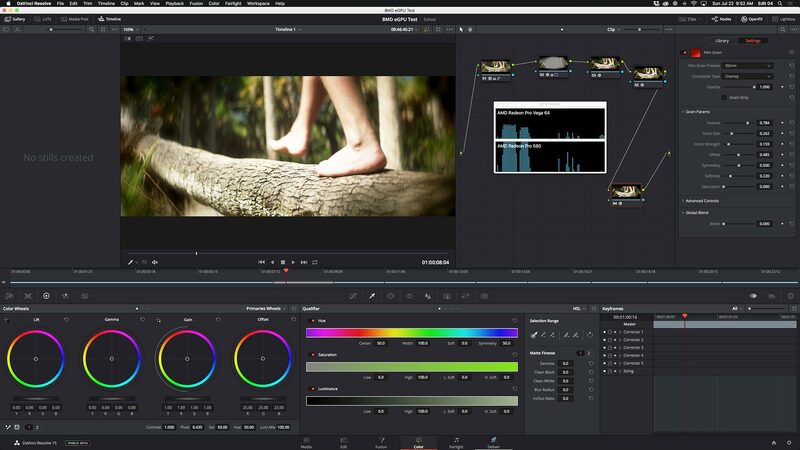 So if color correction is part of your business model and Resolve is your color correction tool of choice, then either of these two DaVinci Resolve panels is easily justified. The more I’ve been using the Resolve Mini, the more I like it. It’s the Porsche of small grading control panels – solid, stylish and powerful.